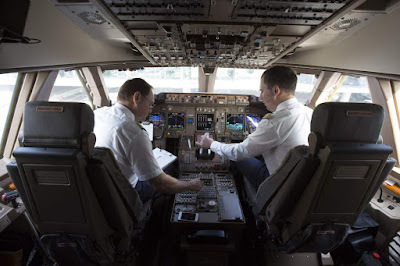 Airline pilots, by and large, don't want to be under constant video surveillance while they are in the cockpit. The Wall Street Journal ran an article on this topic, recently. The main point of the article was the resistance of the pilots' union to possible new rules requiring the installation of cockpit cameras. The article raised a question in my mind. If we put airline pilots under constant video surveillance, why shouldn't we put everyone under constant video surveillance? Flying in an airplane is one of the safest possible ways to travel, or so we are told. Crashes like that of the recent Germanwings flight, in which a pilot suicide was the apparent cause, are tragic. However, it is pretty unlikely that cockpit video cameras would either have prevented the crash, or provided much more information, after the crash, than the information we ultimately developed without the benefit of cockpit cameras. Car drivers (including each one of us) cause the most traffic deaths and injuries. Neighbors engage in vandalism against neighbors. Customers shoplift. Pedestrians urinate in public (when there is no other option available). Let's get it all on camera, right? Security and surveillance are not synonymous. I think I'm with the pilots. Gary, beware the slippery slope logical fallacy. We're talking about recording cockpits. Not everybody, always. There's precedent in that we already have cameras to record bus drivers  and audio recordings in the cockpit . Beware also the straw man logical fallacy. The purpose of cockpit cams isn't security. It's for investigation after a crash . I don't know what you're trying to argue when you mention traffic deaths, vandalism, shoplifting, and public urination. Do you think we should *remove* existing dash cameras , home security cameras , and CCTV cameras ?